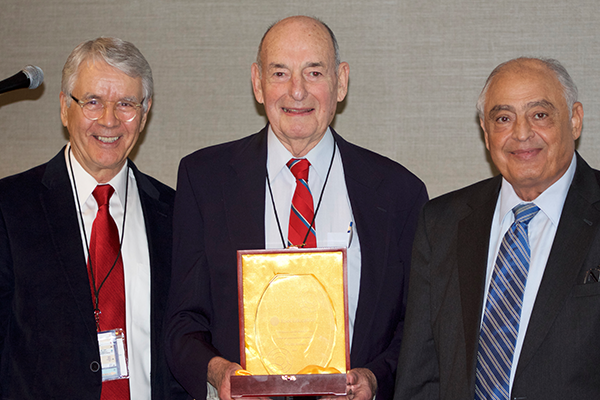 This February, we had the pleasure of recognizing Dr. Gilbert Brown with the 2017 Walid Abushakra Award for Impact on International Education at the annual conference of the Association for the Advancement of International Education (AAIE). The fifth recipient of the award, Dr. Brown is a stalwart of international education, having served as the Headmaster of the American School of Rio de Janeiro from 1963 to 1987, the vice president and president of the AAIE and the president of the Association of American Schools in South America (AASSA), a consultant to over 90 international school boards across the world - just a few of the positions he has held over his prolific career. An influential thinker, Dr. Brown has authored several books and publications on development, management and leadership in American international education, as well as four novels, all published between 2014 and 2016. In his acceptance speech, Dr. Brown discussed the merits of public education, attributing his success to the wide-ranging opportunities he was given as the recipient of a free college education in the State of New York in the 1950s and ‘60s. Dr. Brown chose to dedicate the US$5000 award grant to his alma mater, the SUNY Cortland.